We Become Commoditized Only When We Let Ourselves Be Commoditized! I read an article about the seeming inevitability of commoditization. We certainly see a lot of evidence of more of what we sell becoming commodities. In most of our lifetimes, we’ve seen things like PC’s, Smart Phones, and other things become commodities. They are largely undifferentiated, leading people to buy on price. The trend toward commoditization paints a dire picture for our companies and sales people. Margins decline, profitability declines, our abilities to innovate and produce new products are hampered, and selling becomes an issue of pricing–and it’s probably more efficient to do this through electronic trading systems. Possibly, a certain amount of commoditization will always happen, but I don’t think it’s inevitable. In fact, I think a lot of commoditization happens because we let it happen. We drive the commoditization of the products and services we sell by how we position them and present them to the customer. Too often, we choose to focus on our products—their feature, functions, feeds, speeds. But in today’s global competition, there are a lot of products with similar features, functions, feeds, speeds. How does the customer choose? Faced with similar capabilities, in the past, sales people have leveraged things like quality, reliability, company reputations, and brands. While this extended view of our offerings sought to “decommoditize” what we sold, often those become undifferentiated. While, I’m sure folks at Google and Microsoft would disagree, Google Docs and Office 365 are largely undifferentiated–at least by what I’ve spoken about so far. They offer far more features and functions than I could ever use, each being truly outstanding. They are both very high quality and reliability, they come from outstanding companies with the most powerful brands in the market. Taken on that basis, they might be viewed as commodities, and the only way to buy is based on price. While each of these is priced similarly, they thrive in the markets, because Google and Microsoft have found other ways to differentiate and drive sales. Commoditization doesn’t happen because of the customer or the competition. Commoditization happens because we let it happen. We choose to focus only on the most “commoditized” attributes in how we position, market, and sell our products. Decommoditization requires constant innovation–yes, in the products and services–but we know that is never sustainable, even for the shortest periods of time. Decommoditzation requires innovation in how we engage prospects and customers, how we market and sell to them—the value and differentiation we create in the buying process. Decommoditization requires innovation in the customer experiences we create, how we service and support what we sell, how the customer feels in using the products, the value they realize in implementaton, how we help our customers achieve their goals. Decommoditization ends up being more about us, as marketing, sales, customer experience professionals, and what we do and the value (personal and business) we create with our customers. If we don’t create those valuable buying and utlization experiences, we allow our offerings to become commodities. It’s true, some customers will not value those things, but they’re not our customers and probably never were. They are not in our sweet spots, they don’t have the needs, challenges, problems that we solve. So we shouldn’t waste our time, instead we must invest our time in customers that value those things that differentiate us from the alternatives. This isn’t new, people who have sold, “commodities,” have recognized this for at least decades. 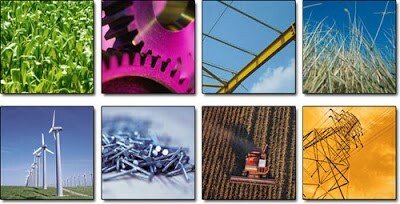 They sell basic materials (oil, gas, chemicals, etc. ), their value and differentiation has little to do with what they sell, but more around how they sell and the experiences they create. Google and Microsoft, both create value and differentiation in their offerings, because they recognize it isn’t in the product. Those who sell “differentiated products,” have often been lazy, thinking it is only about the product. Those who continue to focus on their products will be increasingly disadvantaged as their products are commoditized. Commoditization is not something that happens to us, it’s what we choose to do. It’s our responsibility to our companies and our customers to make sure what we sell is not commoditized. We have to constantly innovate and change–but not just our products and services, but in everything we do. Our Products Are Becoming Commoditized! Are You Commoditizing Your Customers?